Albatrosses: Legendary creature of the open ocean, the albatross was once known only to hardy mariners. Today, millions of people around the world are familiar with the iconic long wings and graceful flight of this captivating bird through TV documentaries, or perhaps by seeing them from a cruise ship or on one of their breeding islands. 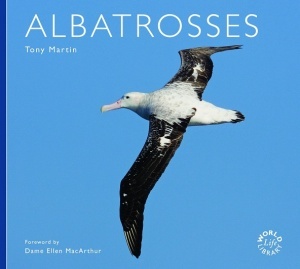 However, few people realise that thousands of albatrosses are killed in fishery operations each year and that most species are now in serious trouble as a result some even threatened with extinction. Having saved the whale, we must now Save the Albatross.